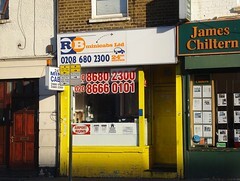 Minicab firm on London Road. It was previously called Telegraph Cars photo, but changed to RB Minicabs some time between May and December 2013. Last edited 2019-02-16 17:33:15 (version 21; diff). List all versions. Page last edited 2019-02-16 17:33:15 (version 21).